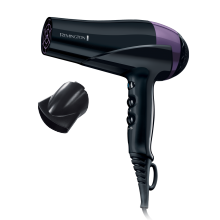 Say hello to the Remington PROtect Tong; the breakthrough styler that offers beautiful, smooth, long-lasting curls with 62% less damage*. This hydrating hair hero provides the ultimate professional performance with protection against heat damage, thanks to innovative HydraCare technology. 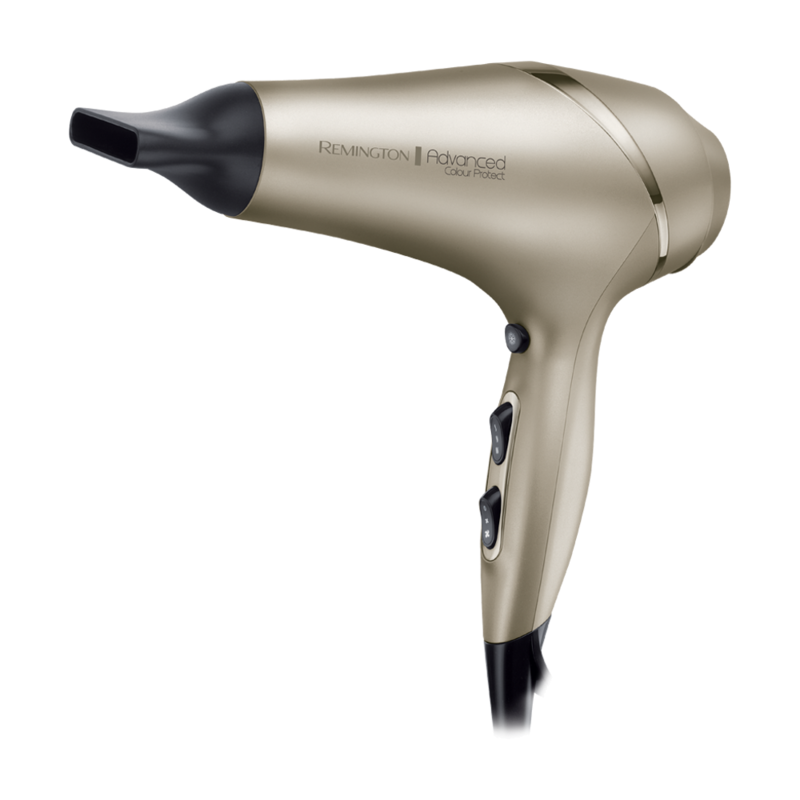 This clever technology preps the hair with a fine cool mist before curling, enabling you to style your hair at a lower temperature without compromising on those all-important results. With five temperature settings up to 220°C, and an integrated digital display. 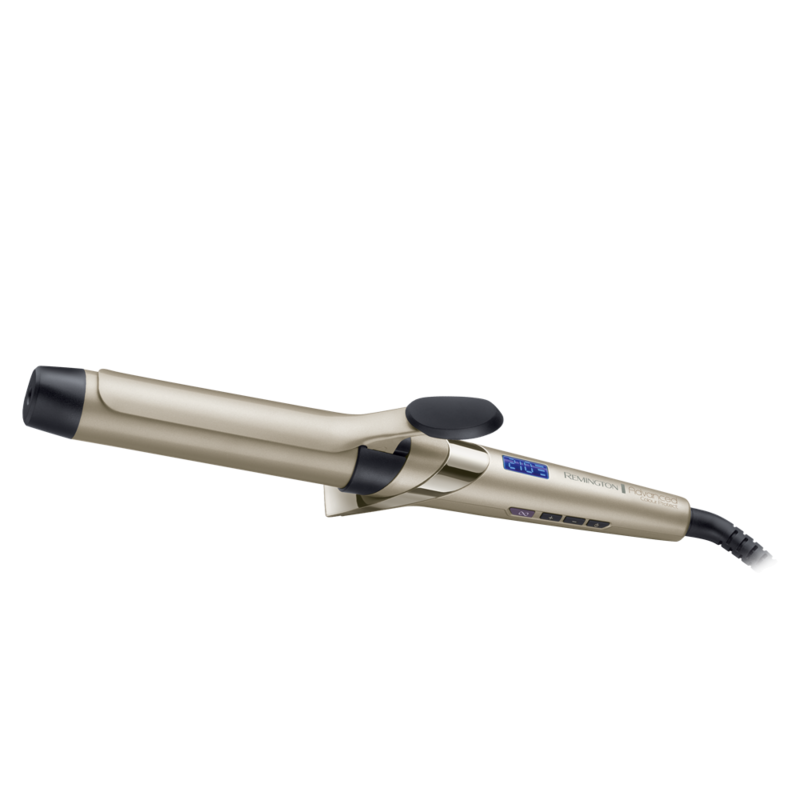 Plus the Advanced Ceramic coated barrel ensures the hair wraps smoothly around the Tong, with no snagging or pulling. 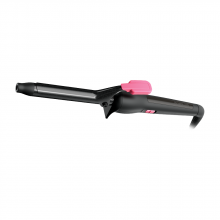 And the clever clip design securely holds your curl in place, giving you easy styling with complete confidence. HydraCare technology delivers the perfect balance of moisture and heat when creating your chosen style. By combining a cool mist with the optimum styling heat of 170°C, lower temperatures can still create beautiful styles, meaning less damage to your hair*.